Roman steam room is filled with humid steam (nearly 100%), with air temperature approximately 35-40°C. If willing, in the steam room Guests can use essential oils, which help body and soul to relax even more. Time, spent in the steam room, can reach up to 20-30 minutes, depending on your personal health and physical response to the steam room. Steaming positively effects a change in a functionality of the organs and body systems, it improves metabolism due to skin clearance, opening of pores and reduction of dead skin cells in the epidermis. 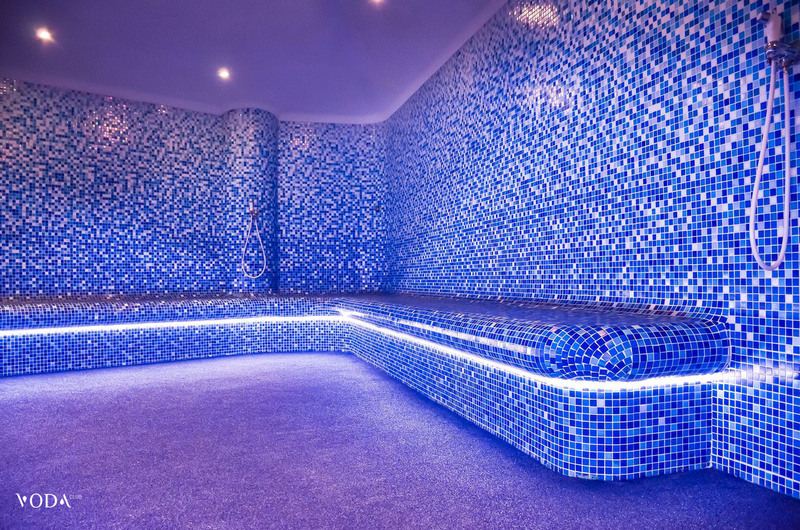 The warmth of Roman steam room has a positive effect on cardiovascular, thermal control and endocrine systems. Skin becomes resilient and elastic, nerve and muscle tension is released, general vitality and working capacity is boosted. Due to a wonderful combination of moderate humidity and average temperature indexes, a unique and represented exclusively in VODA club Mediterranean sauna allows to inhale evaporating essential oils effectively and spend time comfortably more than 20 minutes. Mediterranean sauna effectively furthers intensive sweating. But, due to a moderate humidity and average temperature, person feels comfortable in such conditions. Through open pores and due to direct inhaling, essential oils have therapeutic and relaxing effect. People with minor cardiovascular conditions are allowed to visit Mediterranean sauna. Fire, burning in rocks, heats the stones, which, on their behalf, retain the warmth. Despite the fact, that air temperature in Finnish sauna is sufficiently high (which is 90-100 degrees), the humidity is only 15%. 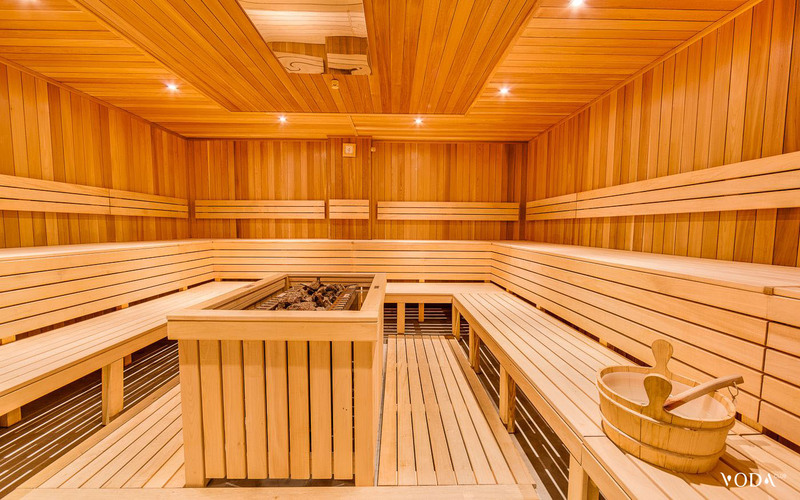 These proportions of dry and humid air allow to spend a considerable amount of time in sauna. Spending time in Finnish sauna is helpful for body detoxification and removal of body waste and lactic acids, for improvement of skin condition, stimulation of cardiovascular system and boosting up an immune system. After visit to a sauna, body proteins and microelements are more likely to be absorbed, it is easier to fall asleep and generally it cheers you up. 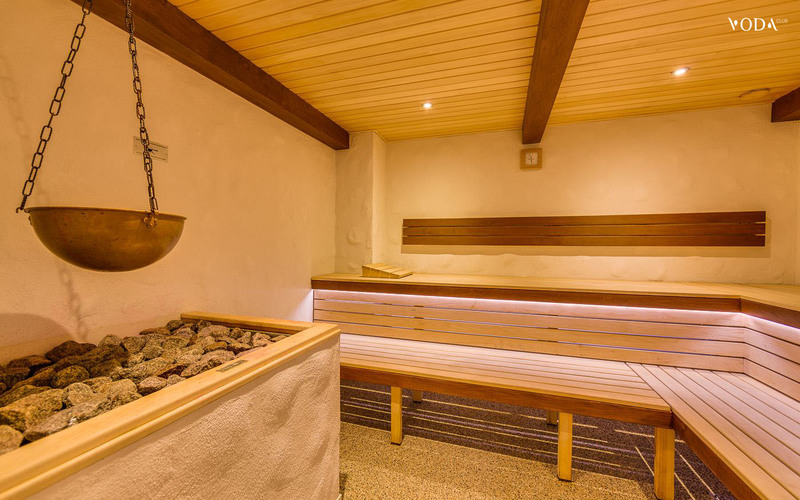 Finnish sauna helps to cure cold in the head and sore throat. People with injuries, dislocations, soft tissue contusions, as well as people, who are increasingly nervous, fussy and anxious, are highly recommended to visit sauna. Salt crystals are natural ionizers. Negative ionization has antiphlogistic, antiallergenic and antispasmodic effects, it regulates mineral balance, and it also clears air passages. 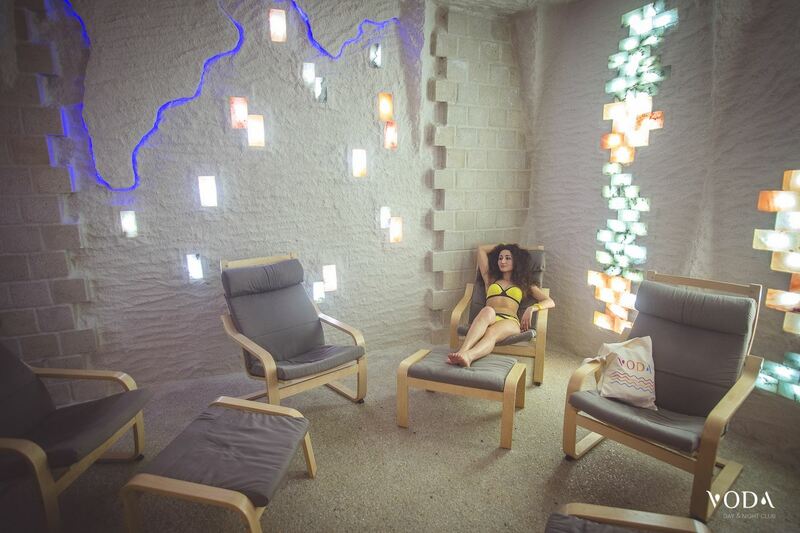 Spending time in salt cave reduces stress and exhaustion and general vitality is boosted. Such treatment boosts functionality of immune system and increases quantity of hemoglobin in the bloodstream; it also renews acid-base balance. Furthermore, speleotherapy is an effective prevention of different kinds of colds.